Inspired by our bodies’ sensory capabilities, researchers at the Wyss Institute for Biologically Inspired Engineering and the Harvard John A. Paulson School of Engineering and Applied Sciences have developed a platform for creating soft robots with embedded sensors that can sense movement, pressure, touch, and even temperature. The research is published in Advanced Materials. Integrating sensors within soft robots has been difficult in part because most sensors, such as those used in traditional electronics, are rigid. To address this challenge, the researchers developed an organic ionic liquid-based conductive ink that can be 3D printed within the soft elastomer matrices that comprise most soft robots. Wehner is now an Assistant Professor at the University of California, Santa Cruz. To fabricate the device, the researchers relied on an established 3D printing technique developed in the lab of Jennifer Lewis, Sc.D., Core Faculty Member of the Wyss Institute and the Hansjörg Wyss Professor of Biologically Inspired Engineering at SEAS. The technique — known as embedded 3D printing — seamlessly and quickly integrates multiple features and materials within a single soft body. “This work represents the latest example of the enabling capabilities afforded by embedded 3D printing – a technique pioneered by our lab,” said Lewis. 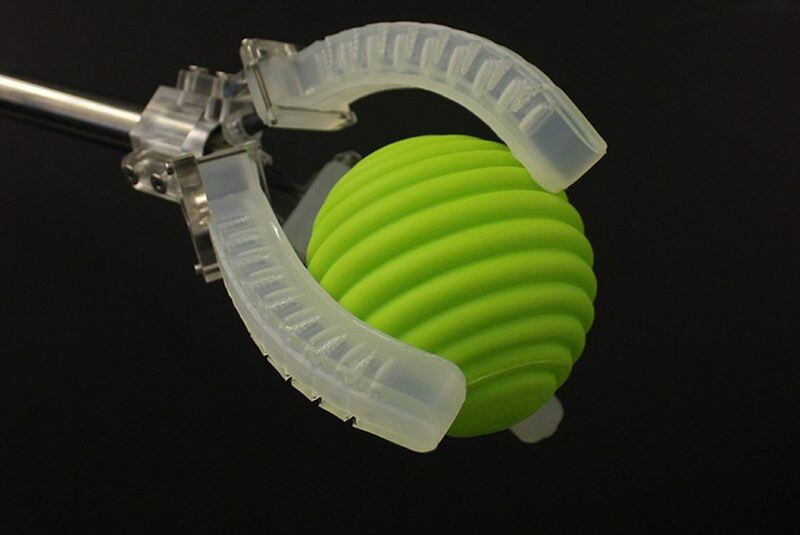 To test the sensors, the team printed a soft robotic gripper comprised of three soft fingers or actuators. The researchers tested the gripper’s ability to sense inflation pressure, curvature, contact, and temperature. They embedded multiple contact sensors, so the gripper could sense light and deep touches. Next, the researchers hope to harness the power of machine learning to train these devices to grasp objects of varying size, shape, surface texture, and temperature. The research was coauthored by Abigail Grosskopf, Daniel Vogt and Sebastien Uzel. It was supported it part by through Harvard MRSEC and Harvard’s Wyss Institute for Biologically Inspired Engineering.